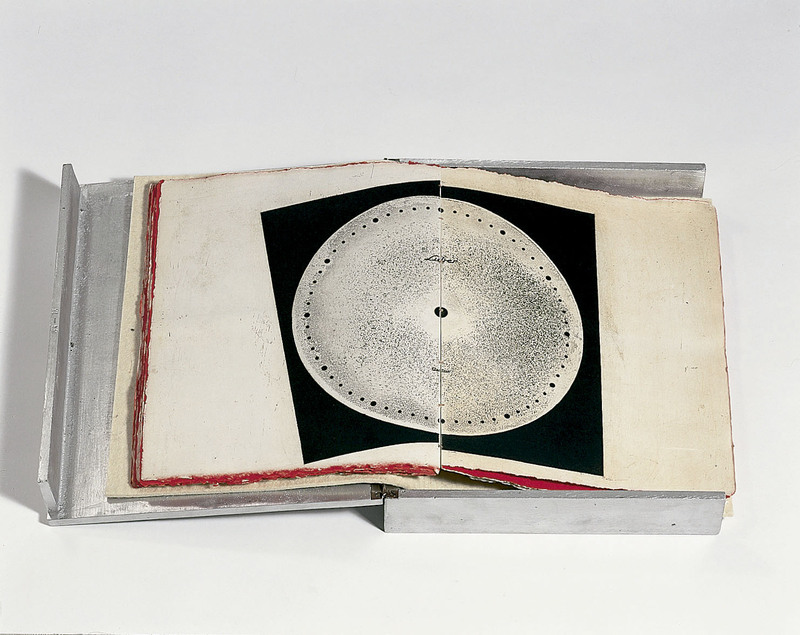 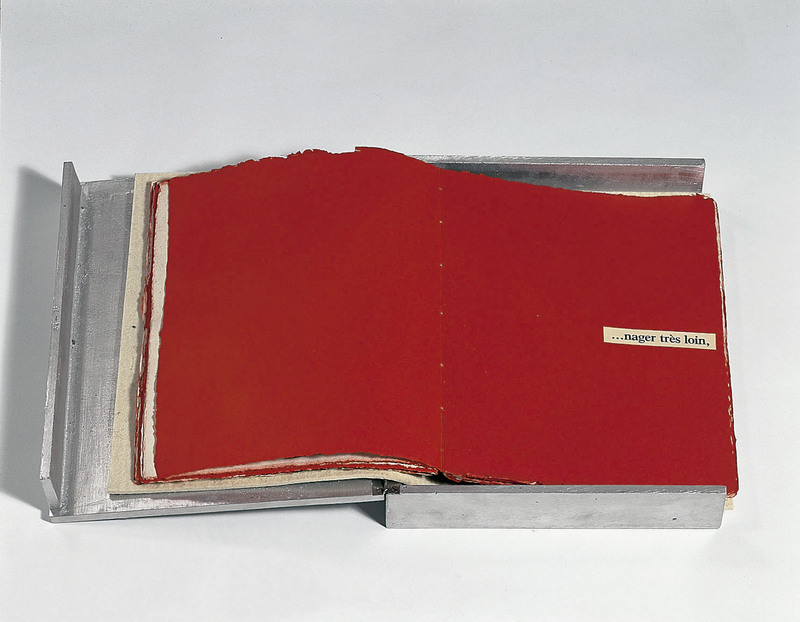 Book consisting of twenty sewn signatures protected by a felt sheet 5 mm thick. 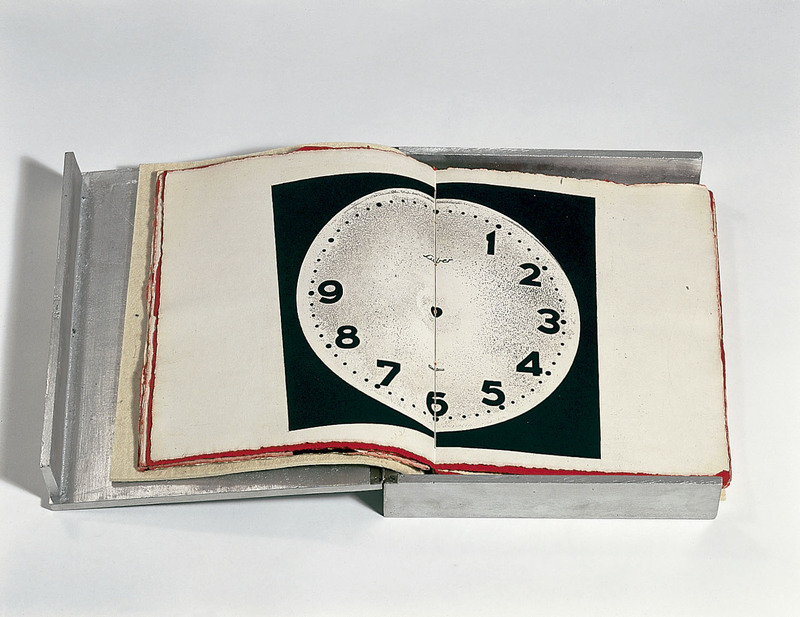 Created by Jaume Plensa, it contains a poem by the artist and thirteen images of a clock printed from twenty-six engraved copper plates. 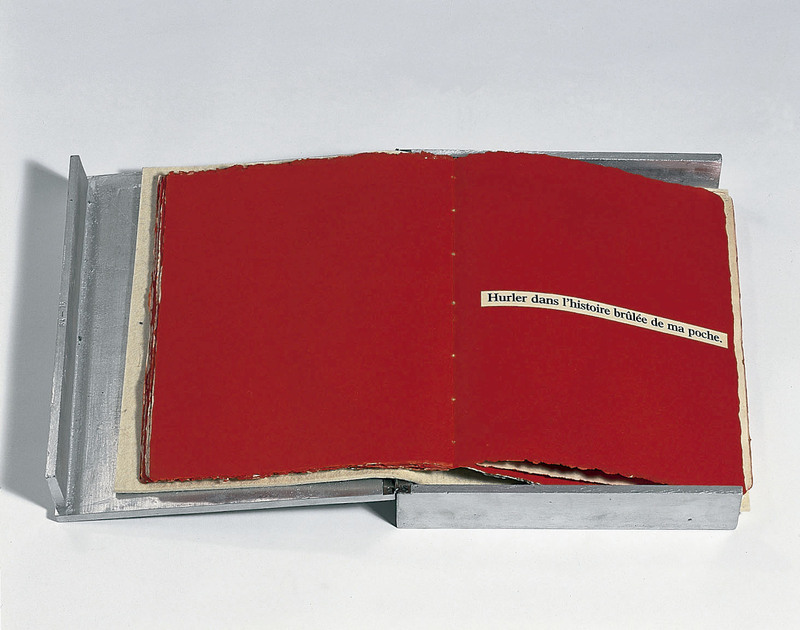 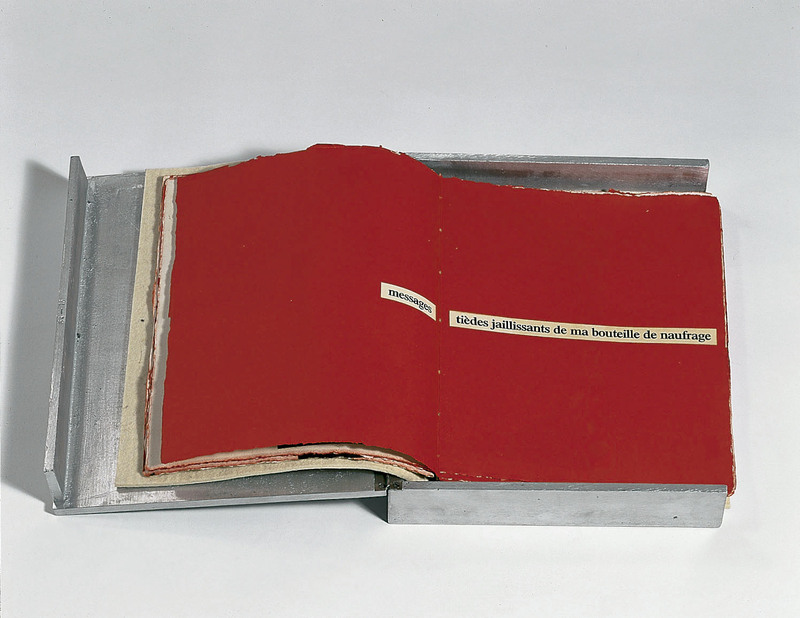 The poem appears in the form of fragments cut out and stuck on red-tinted pages. 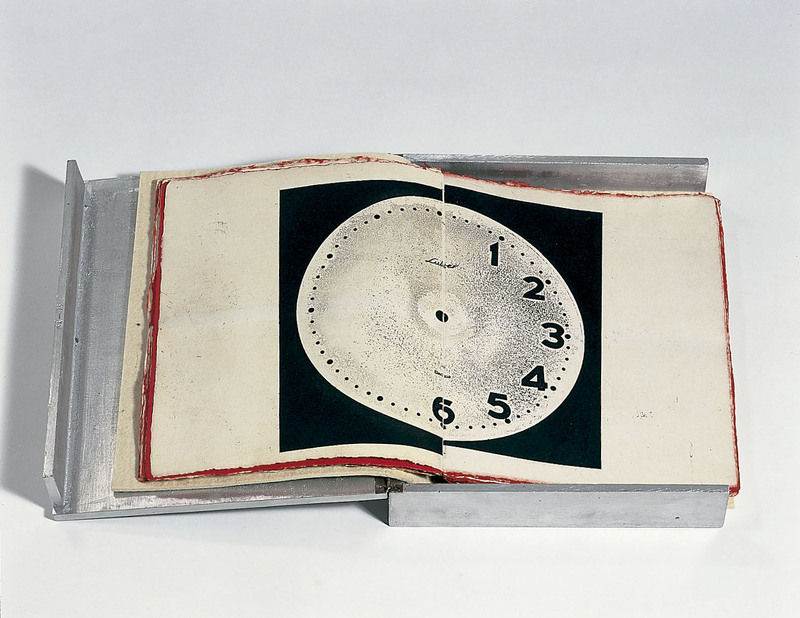 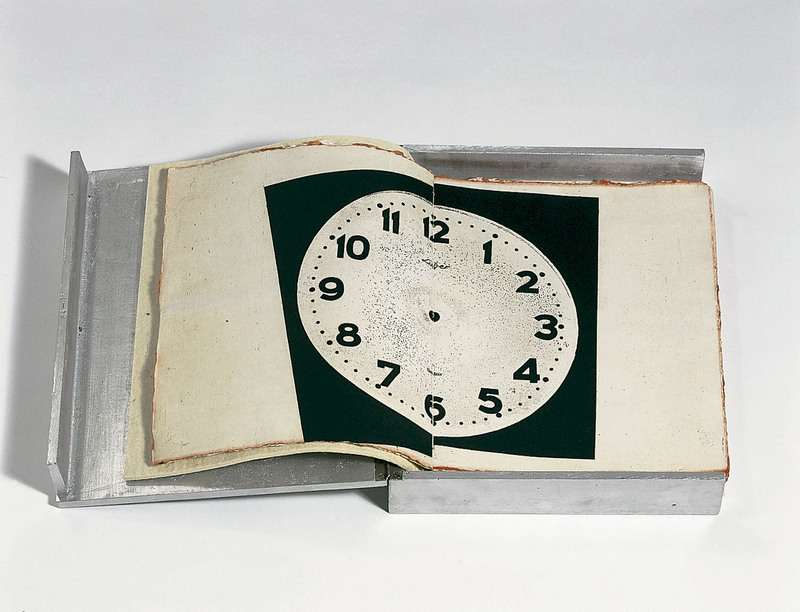 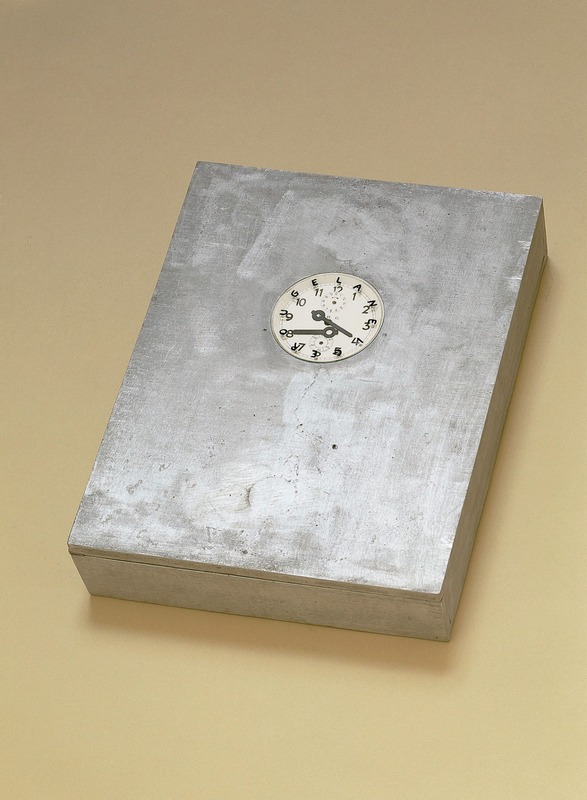 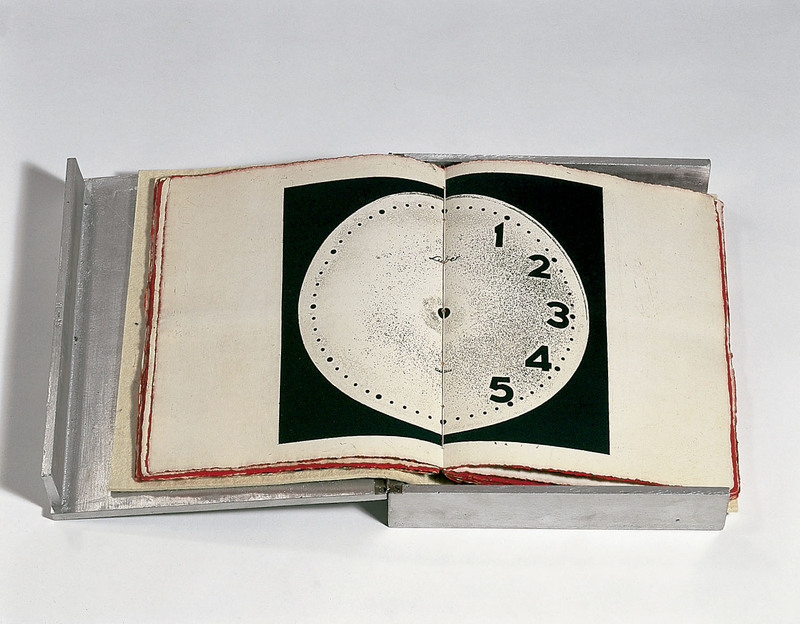 A clockface made of paper and metal and covered with glass is the cover of the aluminium case.